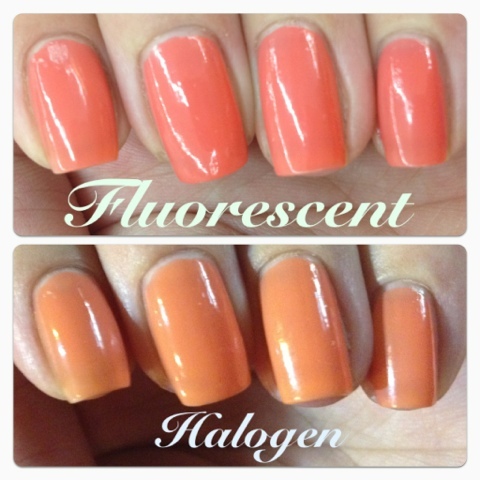 I used Wet'n'Wild Blazed, a beautiful coral-orange jelly, and Sally Hansen Grass Slipper. I'm not so sure I love it as much now that I did it, though. 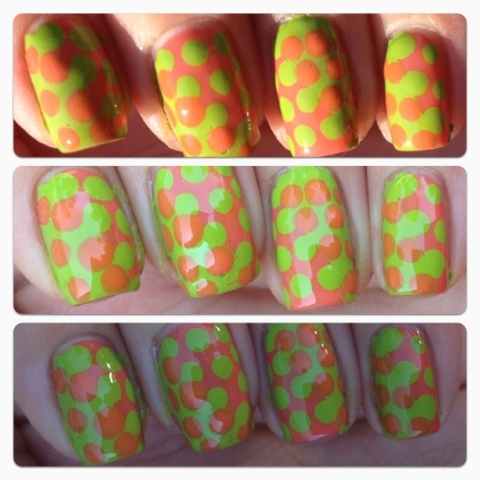 I think it is partly because the coral wasn't really opaque enough to stamp on top of the green, though. Plus, I was in a hurry and rushed through it. If I try this one again, I'll definitely have to use different colors, and more patience!